January 13, 2018, Dubai, UAE: With the season of love right around the corner, celebrate affection in any way you fancy by gifting yourself or your loved ones a stunning timepiece from D1 Milano. 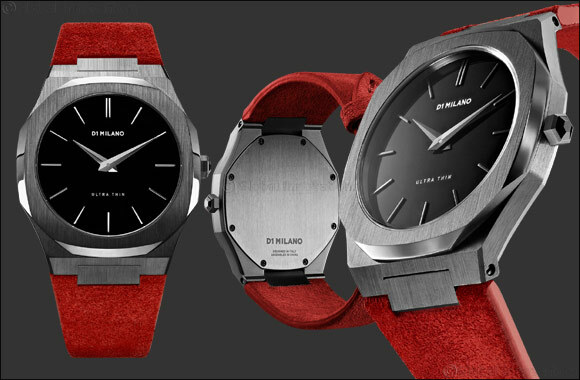 Introducing the renowned Ultra Thin style in a chic new look featuring a bold red suede color just in time for Valentine’s Day. The deep red strap of the timepiece represents all the right emotions of the season, featuring a classic gun-metal dial to compliment the design. This blissful season indulge in self-admiration by either gifting yourself the D1 Milano timepiece or surprise the special someone in your life.